Pros: - Beautiful displays, no noticeable banding, no dead pixels on any of the 3 I received. - Stands are basic, but function and well constructed, with a good height adjustment range. - Bezel is thin enough that I don't even notice the gap when I align them. - One of the hardware buttons on the bottom can be customized. I have them connected to both my personal PC and my work laptop, so I set it to switch inputs. Being able to do that with a quick button press was not something I expected, but an incredibly pleasant surprise. It's so quick that I was able to put off buying a KVM for now. Cons: None so far. Maybe I just got lucky with my set, maybe they worked out some earlier kinks, but these 3 are basically perfect. Other Thoughts: Haven't really tested GSync, as I haven't been gaming on this PC as much as I expected, so I can't speak to that. Pros: Ok so one of the pros that i like is that obviously this is a gaming monitor but what makes it awesome is that fact if u want a monitor for gaming but dont want wierd looking one like what other companys make this one will fit your liking and itll look super professional on your desk. Comes with a HDCP cable so no need to buy an extra and it does OC to 165hz. Its from its own built in menu that u can select. Cons: I guess in a way the color reproduction isnt really all that great. Wish it had great RGB with hdr but youll only get that with premium models. Other Thoughts: You cant really complain on this monitor especially me cause this was all i could afford at the time and i would buy like either 1 or 2 just to have 3 montiors for F1 or PC2. Either way pretty good monitor if you ask me. At a good price to afford. Pros: Being able to be overclocked to be at 165hz refresh rate is amazing! Keep in mind, you'll need to go into the settings to do so. There was a cut that appears to have been made during production at the bottom of the monitor. It's out of site, but still a little disappointing to see on a "new" monitor. DisplayPort cable is aprx. 3' long and comes off a tad short. This is a personal gripe with the product as I wish there was a longer default cable but this doesn't factor into my review. 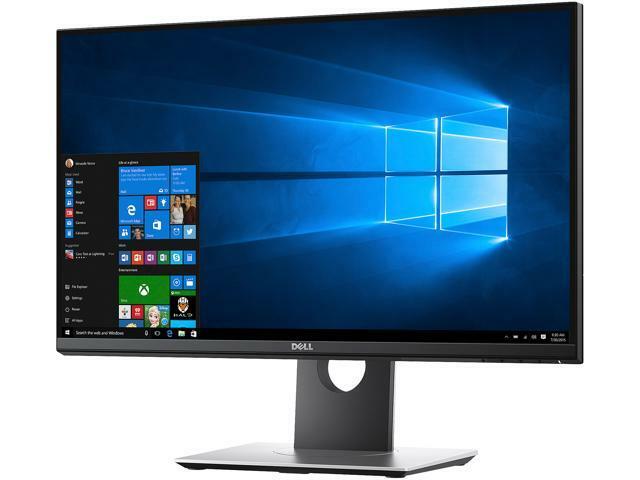 Other Thoughts: All in all- for the performance of this monitor and the amazing quality it can provide it quality you can see almost instantly. AAA games have a chance to really feel fleshed out and get the quality you see in the demos. As I don't mind spending a couple of bucks for a longer cable, I do wish it was more common. For the right price, an absolute must-have! - Simple design with great physical adjustments, very thin bezel, pretty good build quality. - Definitely Better Monitors out there for raw image quality, but that's not really the point here. - Very Plasticy for it's price range. Other Thoughts: After reading many reviews for the screen, I decided to take a plunge during the Holiday specials. Overall, I'm glad I did. I've never splurged on this high end of a monitor for my own gaming before, though being in the industry, I have experienced a lot of great monitors. Things like ghosting, color banding, bad contrast, etc. can really bother me. I'm not a total perfectionist, but I can't stand a glaring issue like that. At first, I thought mine had no issues with this. However, I decided to lower the Gamma further in the Nvidia settings, and this makes the banding issue more distinct. There are a lot of theories out there about how to tune this monitor. First, don't just assume a tune you find online is going to be good. Panels vary and need to be individually tuned. I tuned mine by eye manually, favoring a higher gamma for better competitive gaming at the expense of dynamic range and raw image quality. Either there are many bad samples of this panel out there, or people's settings are exacerbating the relatively low color range of the TN panels. I've worked with TN panels a lot, and you have to be careful to tune them within their capabilities. That being said, my sample seems to be one of the more forgiving TN panels I've used. Honestly, I was able to hone the settings to my liking within a couple of hours of tweaking/playing. Side by side, it definitely has an overall better image than my 5 year old $150 Asus 24" it replaced. The Asus had a bit more contrast and pop, but the Dell picture feels a bit more real. Even looking a photos, while the colors don't have as much pop, the shadow/highlight detail is far better. I didn't expect this based on the reviews, though the ole' Asus was never that great in this respect. For someone coming from a good IPS, the story would be different. The big issue here is that Gamma CANNOT be controlled from the monitor's OSD, which is a huge oversight on a gaming monitor. The default gamma is far too high, so compensating with the Nvidia settings is the main option, which causes the banding issue to manifest. Buy I've dwelt on image quality long enough. This was a great side effect that will help my hobbyist photo editing, but the meat of this monitor is gaming. For that, I was blown away. The increase refresh rate is great, sure, but what really got me was the lack of ghosting. Dragging windows around and trying to read the text on my old Asus was almost impossible, and I was getting sick of it. The dell completely fixes this. I've never seen a monitor this great at not ghosting. I'd hope some of the latest $1k+ monitors would match or exceed, but I haven't seen those lately. Overall, I feel perfectly comfortable recommending this as a great Gaming & Multi-Purpose monitor. It may not have the pop or wow factor of some monitors, both in terms of Image Quality & Design, but it's got it where it counts. Images feel real, motion looks fantastic, and the high DPI means running without AA is actually pretty good! My only complaint is not really the monitor's fault, but more how Windows 10 handles scaling. Some things just end up blurry when you inevitably scale the interface up. In this day and age, there shouldn't be this many issues with scaling. Running at the recommended 125%, a lot of apps & icons just get blurry. But it's worth it to have the great resolution. Other Thoughts: My brother has this monitor and praised it so I got it for my birthday, but it's been awful since day one. I expected so much more when spending $400 on a monitor. Pros: very good for the price! Other Thoughts: highly recommend this monitor, ive been using it for just over a year and almost no problems with it, only the 2 small nit picks mentioned before. Other Thoughts: I have had this monitor for slightly over a year and it has been a great budget monitor. The display is ridiculously smooth with its 160hz refresh rate and G-sync capability, and the 2k display looks beautiful without causing text to seem too small. Given that this is a tn display there is some color shifting, but it is not very noticeable... the main drawback for for me is that this monitor has severe color-banding when displaying dark scenes. Given the $350 sale price when I bought this in Nov. 2017, I can't complain. I have had no other issues and for the majority of situations the display looks fantastic. If you are buying this monitor primarily for gaming then you can't go wrong for this price, but for video editing, watching movies and other situations where color-banding and color shift may be a more serious concern I would NOT recommend this monitor.